OSTENIL® is a solution containing sodium hyaluronate. It is injected into the space in the joint that contains synovial fluid and works by restoring the normal balance between the breakdown and production of sodium hyaluronate. 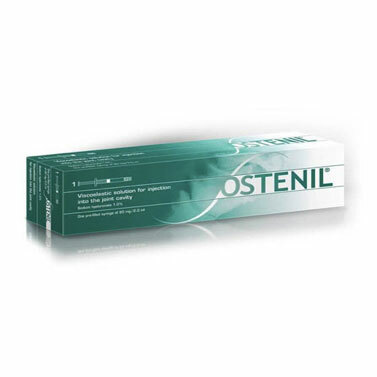 The beneficial effects of OSTENIL® develop gradually during a course of injections and persist for several months. Following a course of 3-5 injections, symptomatic improvement can be expected to last for up to 12 months. Our dedicated and self-contained clinics are fully equipped and staffed with a highly experienced physiotherapy and sports rehabilitation team. Fantastic, what more can l say ! I had a knee problem for 6 years, l saw different physiotherapists they all said nothing wrong. I ran a lot and more recently boxed. I felt my knee give way a lot, so l thought give the sports clinic ago. I saw James physiotherapist at the clinic 2 weeks ago, after a thorough examination James worked out the problem. He said the issue was very difficult to find, but with the help of the bio equipment he found an issue inside my knee. I was unbelievably relieved FINALLY after 6 yes 6 years the problem was found. James was brilliant caring and understanding, he gave me a knee strengthening programme to follow and guess what 2 weeks later my knee feels great. James has discharged me, l will still keep up my knee programme for total fitness and because of James really looking forward to life and training in the gym again . All l can say to anyone reading my review, if you have a physiotherapy problem don't hesitate get yourself down to the clinic. It's the best thing I've done. Big respect to James and all the staff. Brodie is the first physio I have seen in nearly 5 years who clearly identified the root cause of my back pain and came up with a plan to solve it. I had my first proper weights session back at the gym yesterday, deadlifts included! Cannot thank you enough. 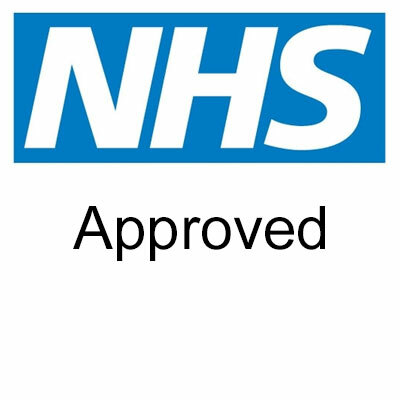 Over the last 5 years I have suffered severe back pain , after 18 months the NHS sent me for a MRI scan that picked up three herniated discs that where pressing on my spinal cord. appropriate medication was proscribed. Still in pain 5 years later I needed some answers so I made an appointment with James at Woodborough road PhysioNeeds, he straight away diagnosed me with having a sacro-illiac joint problem. The treatment has been fantastic over the last six weeks I am pleased to say that I am just about pain free in such a short time. I would highly recommend James at PhysioNeeds to any body with out hesitation. James is a miracle worker. He diagnosed the root problem with my lower back, released it and prescribed specific exercises. Instant relief! We're now working on strengthening, preventative exercises. Best cash I've ever spent! Brilliant family run business who make you feel very comfortable . Great service and would recommend to anyone. I had given up hope of effective treatment for my left foot as it was a long standing problem. For 5 years I had felt increasingly severe pain on top of my foot- so bad at times I couldn't tolerate lacing up my shoe. I saw my GP twice and went to podiatry and physio in the NHS. The orthotic I had made was so large and I had to buy a size bigger shoes- it was depressing. Then I went to Abbie's pilates class and thought just maybe it would be worth getting her to have a look at my foot. I made an appointment and it was clear to me she thought she could help. What followed was a series of sessions of hands on work on the ankle, shin and calf muscles. Really it was almost the most painful treatment I've had but with ultrasound and home exercises it made a huge difference. After a course of treatment it was so much better- I rarely have any pain and I can wear any shoes and I walk as much as I can! I still do the exercises and know I can return to see Abbie if it becomes a problem again. Really though the treatment felt miraculous to me after all after all that time Abbie made so much difference to my foot but also put me to ease about my ongoing mobility. Thank you Abbie! Really great treatment, Abbie is friendly, helpful and always offering great advice.